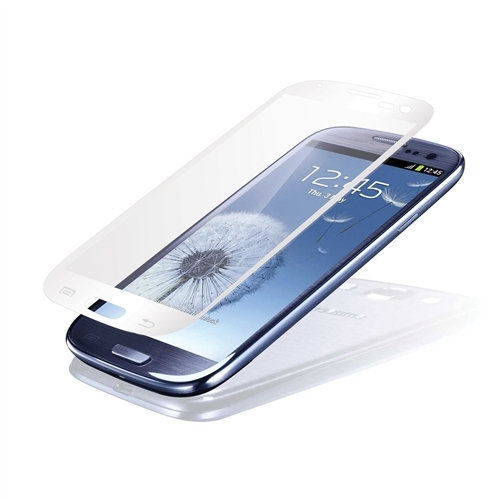 We’ve talked a lot about tempered glass screen protectors over the last year. They are certainly a popular item in the accessory world because of the level of protection that they can provide those big beautiful displays of ours. So it only makes sense that companies would continue to invest in the technology, especially the big dogs. The next to enter the business is long time accessory company, Seidio. Their new VITREO tempered glass protector comes in both white and black (yes, black not blue) and carries the same 9H hardness that we have some from others like XGEAR. It also has tapered (rounded) edges, a strong silicon adhesive that won’t bubble or lift, and adds only .55mm of thickness to the device. We’re a little confused as to why they went with black over blue to match the color of the phone, but it is what it is.